In the quest for the most advanced concept in floor protection, the talented designers and engineers at MacNeil Automotive have worked tirelessly to develop the most advanced DigitalFit floor protection available today! Digital laser measurements of interior surfaces offer a consistently perfect fit. A patented tri-extruded composition allows for a rigid core for strength while offering surface friction to the carpet, as well as tactile feel to the surface. The FloorLiner advanced surface design has channels that carry fluid and debris, away from shoes and clothing, into a lower reservoir. The lower reservoir uses additional channeling to minimize fluid movement while driving. Once fluids become trapped in the reservoir, they are easily removed from the WeatherTech FloorLiner over the door sill…No muss – No Fuss! Rear FloorLiner incorporates many of the same design features as the front FloorLiner . Rear FloorLiner DigitalFit are manufactured from a proprietary custom blended TPO that is not only wear resistant, but also remains flexible under temperature extremes. Rear FloorLiner DigitalFit are one piece or two piece depending on the vehicle application. FloorLiner protects resale too! Simply put, the cost of owning a vehicle is the difference between what you pay for it and what you sell it for. There are many factors that influence resale value; miles, exterior condition, maintenance history and of course interior condition. FloorLiner is proudly designed, engineered and manufactured with American made tooling in the USA. 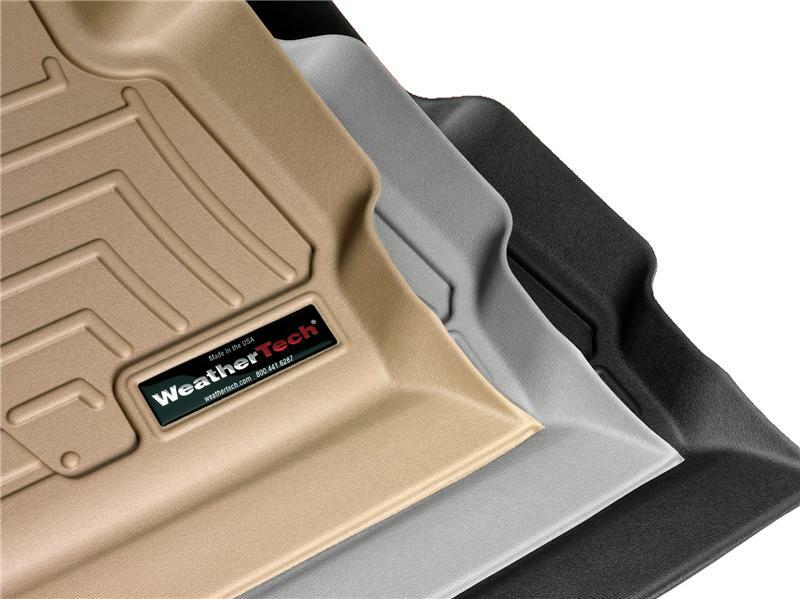 WeatherTech FloorLiner is guaranteed against faulty materials and workmanship for a period of three years from the date of purchase. Exclusions to this warranty are wear due to severe abrasive conditions and chemical contamination, such as spilled gasoline, bleach, etc.